Touting the significant advantages of Verizon’s reliability and exceptional streaming services, Sinclair’s Tennis Channel explains why they chose the mobile giant to deliver their OTT app. 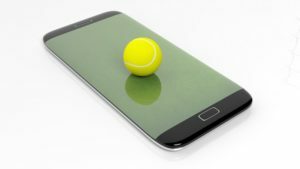 Early in 2018, the Tennis Channel updated their app to include live access to the Tennis Channel for pay TV consumers and Tennis Channel Plus that offers bonus content for another $11.99 per month. Verizon, working with the Tennis Channel’s engineering team, will monitor and manage all pre-event preparation and maintain the integration between Tennis Channel’s in-house content delivery system and their own Digital Media Services’ Uplynk Video Streaming service.